You must connect to chem-diamond3. Open the Jukebox share on diamond3. 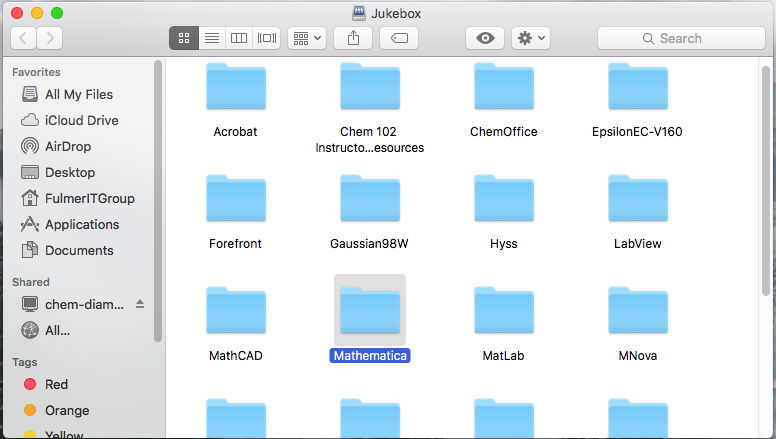 Open the Mathematica folder in the Jukebox. Find the Mathematica disk image. Drag locally to desktop and open. 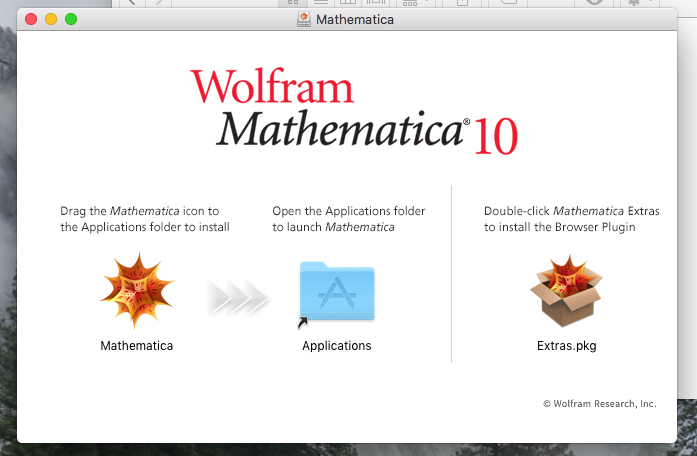 Drag the Mathematica logo to the Applications icon. Success. The application has installed. Click Close. After installing Mathematica, you must point it towards our network license server. Launch Mathematica. Mathematica will launch the activation process. We do not use an activation key so click the Other ways to activate button. Choose the Connect to network license server method. The activation application prompts for the name of the network license server. The name of the server is privileged. 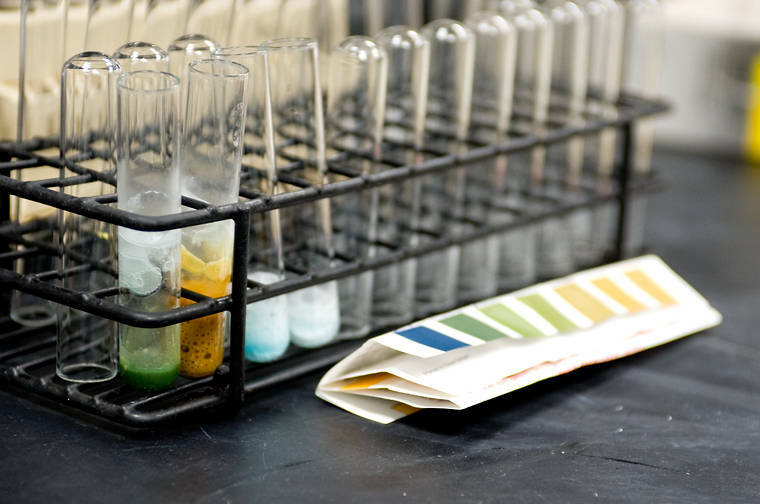 It is provided only to faculty, staff and students in chemistry. Go back to the Mathematica folder in jukebox. Look for a file named ServerName.txt. Open that file. Note the server name that is in that file. Enter the server name in the activation box. The name shown is not the real server name. 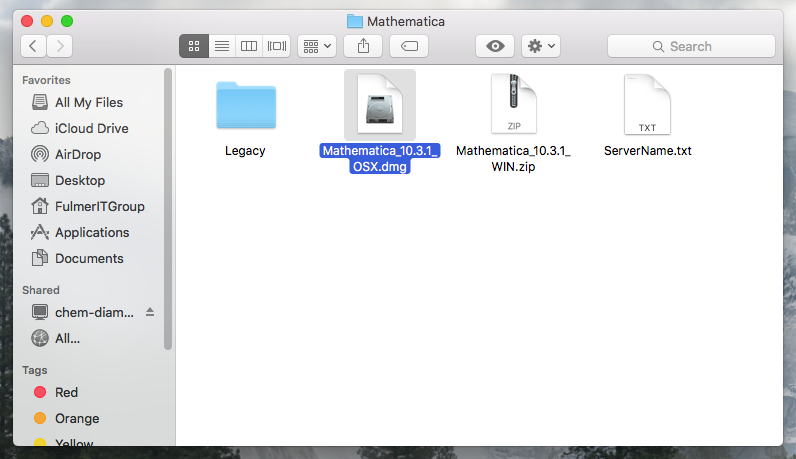 Mathematica launches. NB you must be on the Internet to launch Mathematica. If you are not on the WSU-Pullman campus, you must connect to the VPN before you launch Mathematica.